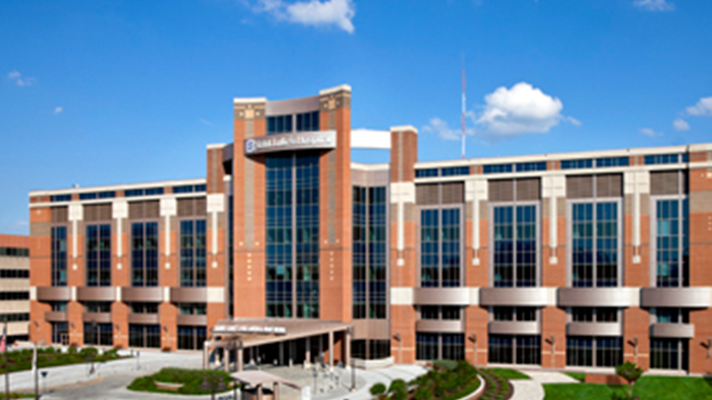 St. Luke's Health System has been able to grow significantly, adding several new facilities, thanks to simplifying its IT infrastructure and enabling a mobile environment for its clinicians. St. Luke’s Health System, which serves Idaho and eastern Oregon with more than 250 clinics and seven hospitals, has experienced significant growth in the last decade thanks to mergers and acquisitions. A few years ago, the health system, which now has 15,000 employees – including 1,500 physicians – acquired 32 clinics and a hospital. The IT team was tasked with getting the facilities integrated within three months. With two new electronic medical record (EMR) systems and 150 applications, the level of complexity made the IT team focus on simplification, starting with the infrastructure, according to Brett Taylor, director IT infrastructure and operations. After observing the physicians and clinicians on the floor and witnessing the myriad IT workarounds, Taylor and his team looked at how the right technology –including mobile solutions – could improve their workflow. The health system chose a Citrix XenDesktop and a Nutanix hyperconverged infrastructure to create a mobile environment that would help clinicians be more productive on a mobile platform that already delivered a reliable and consistent user experience. “Hyperconvergence helped simplify the platform,” Taylor said. The solution, which employs a “pay as you grow” model, simplifies the enterprise data center infrastructure by integrating server and storage resources into a turnkey platform. With the combined solution in place, physicians and clinicians can access VDI desktops from anywhere using low cost devices, while tap-badge access and single sign-on create a more efficient workflow. Taylor noted that if his department had to refresh all of its devices for this year, it would cost $3.8 million. The use of thin clients will reduce that cost to $1.9 million. There were also other areas in which technology could make a significant difference. One example is that Taylor had to address an issue escalated by the vice president of revenue cycle. Coders sometimes could not work because the technology was “down.” Because of this, St. Luke’s was losing coders and revenue. By putting hundreds of coders on its persistent desktop, the health system saved money and maintained productivity. With data securely housed in the data center rather than on the desktop, Taylor didn’t need to worry that a third of the coders were based overseas. At St. Luke’s request, Nutanix’s Client Strategy team performed an ROI analysis to determine the potential cost savings of virtualizing all of its employees’ desktops over the next five years – in conjunction with the organization’s five-year refresh rate. With the annual budget for new PCs being shifted to virtual desktops, St. Luke’s projected a five-year savings of $15.7 million and a solution that would pay for itself within six months. The myriad benefits St Luke’s has realized with virtualization have led it to accelerate the migration of its 15,000 users to virtual desktops. Thus far, almost half of the users have been migrated, among them employees who initially were resistant to adoption and then reversed their positions after reporting that enabling technology from IT changed their lives for the better. Demand has risen from other areas wanting productivity gains such as the healthcare information management team, which is remote and global. “Solutions like XenDesktop on Nutanix have helped St. Luke’s IT become a great partner across the entire organization,” Taylor concluded.